I was born in Massachusetts and spent my early years in and around the city of Boston. I am the second child in a family of 8 and have spent much of my life focused on health and the maintenance thereof. My mother and father were students of Japanese health pioneer Michio Kushi back in the 1970’s. My health education began in the womb and has continued to be my area of interest throughout the years. In Macrobiotics a great deal of attention is paid to creating balance in all aspects of life. This focus from a young age left me with a keen awareness of the effectiveness of a holistic approach to health that looks at imbalances to determine the disharmony and the treatment method to reestablish a healthy condition. There are many factors that come together to create dis-ease of any kind and there are, therefore, many factors to take into consideration when treating disharmony in the body. The most effective way to bring the body back to health is to identify and attend to all the factors to reestablish balance within all the systems that make up the dynamic human beings we are! I hope to contribute to the general sense of health and well-being of all those who seek my assistance in their search for balance. 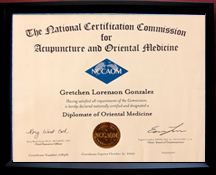 Gretchen L. Gonzalez, AP, DOM earned her Masters of Science in Oriental Medicine at Southwest Acupuncture College in Albuquerque, New Mexico. Her clinical education included the use of Acupuncture and Chinese Herbal Medicine in general practice as well as specialized focuses in mental health concerns, pediatrics, trauma relief, digestive disorders, OBGYN and pain management with an emphasis on family care. 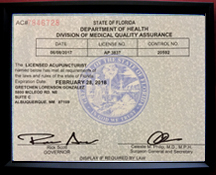 She received her Doctor of Oriental Medicine license in New Mexico in 2008 and operated a thriving clinical practice in Albuquerque which she operates part-time since her move to Jacksonville in 2017. Gretchen is thrilled to be working alongside Jamie Catlett here at Jacksonville Acupuncture Clinic and is looking forward to putting her expertise and skills to work for patients in her new hometown. 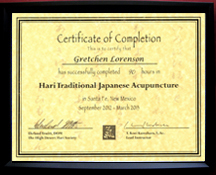 Gretchen has spent her post graduate years in ongoing acupuncture study with master T. Koei Kuwahara sensei, the founder and developer of the gentle yet powerful art of Hari-Style Acupuncture. HARI is a highly refined form of Traditional Japanese Meridian Therapy (Keiraku-chiryo). Meridian Therapy focuses on treating the root cause of disease while also effectively alleviating the immediate symptoms through balancing the body’s Ki (Japanese for Qi, Life Force, Energy). 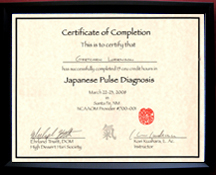 Practitioners of this style of acupuncture have worked diligently to develop an extraordinary ability to perceive ki through the practice of ki diagnosis through touch, pulse diagnosis and delicate needle techniques. Mind/Body posture is also stressed as an integral aspect to be mastered by the practitioner. The theoretical foundations of Hari are derived directly from the Chinese and Japanese Medical Classics, in particular, the Su Wen, Ling Shu, and Nan Jing (a collection of medical texts dating back more than 2000 years). 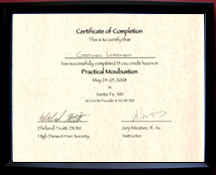 Every theory used in Hari treatments has been tested and validated through extensive clinical practice and training. 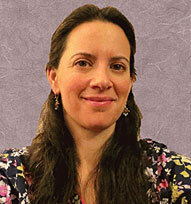 Gretchen has truly found her calling in the practice and ongoing study of this beautiful and powerful form of medicine. She is passionate about bringing comfort and relief to her patients by helping the body do the work of healing itself in a gentle and direct manner. She sees the human body as the most powerful tool in the medicine cabinet. One which we all have the ability to make use of if only we are reminded how. The body knows how to function, it knows how to correct and heal itself and too often the person gets in the way of that process by way of stressful lifestyle habits, challenges to the digestive process through poor dietary habits, emotional challenges that are not allowed to resolve fully. 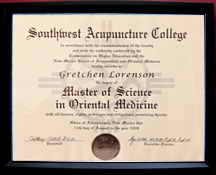 Gretchen finds her most rewarding moments are those in which the patient realizes the power within themselves to make the changes necessary to improve their own quality of life through the ongoing balancing of the body's energy system with acupuncture. please be aware that the testimonials appearing on this site reflect real life experiences of those who have used our services. However, they are individual results and results do vary from person to person and cannot be guaranteed..
© 2006 - 2018 JacksonVilleAcupunctureClinic.com - All rights reserved. No content on this site may be reused in any fashion without written permission from JacksonVilleAcupunctureClinic.com.